Please take a minute to answer two questions in our survey. The feedback is essential to improving the programs and all feedback both negative and positive will ensure we continue to be the best we can be as an organization. 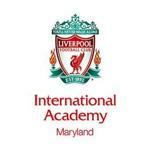 Liverpool FCIA Western Maryland is guided by a Board of Trustees responsible for local decision making on club strategy, philosophy, culture, mission, and vision with the breadth and depth of resources only available through the Liverpool FC International Academy. Running a non-profit sports organization takes time, energy, and talent. Liverpool FCIAA Western Maryland’s parents and coaches committee meet every month and are dedicated to the club's efficient and effective operations.